Company News - Spahn & Rose Lumber Co.
July 5, 2018—Spahn & Rose has been named one of the top 100 lumberyards in the country by ProSales, a newsletter that reports on contractor and construction industry trends. Among Spahn & Rose’s bona fides, as cited by ProSales, is that 85 percent of the company’s sales go to professional contractors. Spahn & Rose ranked fifty-sixth on the ProSales 100 overall. Published annually for the last 26 years, the ProSales 100 is a list of America’s biggest building-material distributors based on dollar volume of pro-contractor sales, rankings compiled via information provided by listed companies and other publicly available research. ProSales is published by Hanley Wood, a Washington, D.C.–based construction-industry research organization. Spahn & Rose is also active in the communities it serves—over the past three years, the Spahn & Rose Charitable Foundation has donated over $381,000 to a variety of local nonprofit organizations. May 16, 2018 – Dubuque, IA. — Spahn & Rose Lumber Co. announced today that it will be merging their Readlyn, Iowa location into their Waverly, Iowa location effective June 9th, 2018. Cameron Costello has been promoted to the General Manager position at Spahn & Rose Charlotte. Cameron will assume the position that was left available when Ryan Hackman was promoted to a Regional Manager role. Cameron has been employed with Spahn & Rose since 2013, having served most recently as the Assistant Manager, and he is very excited to lead the team in Charlotte. 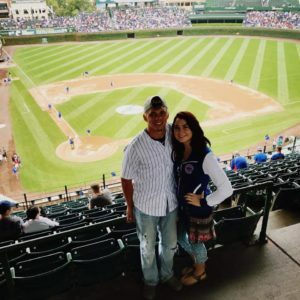 Brad Swarts has accepted the position of General Manager with Spahn & Rose Newton. Brad has been with the company since the Newton yard was acquired in 2012 and will be taking over for Rick Shutts who was promoted to Regional Manager. Brad is thankful for the opportunity and is looking forward to the challenge. We are confident that in choosing to promote from within to fill these vital positions, that Spahn & Rose has made an excellent choice, not only for their stores, but for the company as a whole. Please join us in congratulating Cameron and Brad on their promotions! February 2, 2018 – Dubuque, IA. — Spahn & Rose Lumber Co. announced today it has appointed John Cook as its Vice President, Supply Chain effective February 15th, 2018. In his new position John will have overall responsibility for vendor and inventory management, purchasing, assortment planning and product distribution. John started his Spahn & Rose career at our Monticello location in counter sales in 1991 and was promoted to assistant manager after a few years there. He became the GM at our Charlotte yard in 1997 and served there until 2003 when he was promoted to the position of sales manager/assistant manager of our Dubuque location in March, 2003. John became General Manager of our Dubuque yard in December, 2011 and currently serves in that role today. Spahn & Rose Lumber Co. announced the 2017 Spahn & Rose Charitable Foundation non-profit donation list. On Thursday, November 16th, an event was held at the Dubuque retail location where 16 local donation recipients and Spahn & Rose staff gathered to recognize these deserving causes and celebrate the distribution of $32,750 of the total donations. The Spahn & Rose Charitable Foundation was established in 1950 with the primary mission to support programs that provide services for higher education, healthy communities and at-risk youth. 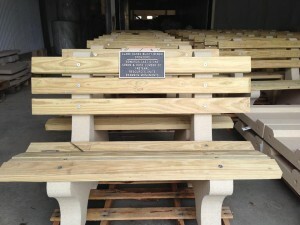 Our Foundation is one of a number of ways in which Spahn & Rose Lumber Co. supports it’s communities. With the unique talents of our employees as well as the resources of our business, we have had a long history of supporting the people and the communities we serve through volunteerism, donations and community leadership. Dubuque, IA. 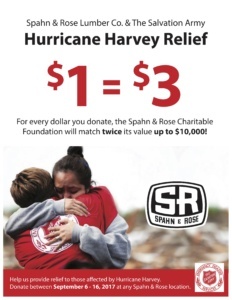 — Spahn & Rose Lumber Co. announced today that from September 6 – 16, for every dollar donated, the Spahn & Rose Charitable Foundation will match twice its value up to $10,000. At this time, we will be accepting change, cash and check donations at any of our Spahn & Rose retail lumberyard locations. Checks need to be made out to “The Salvation Army – Hurricane Harvey”. More details about this donation effort will be released soon. Dyersville, IA — Spahn & Rose in Dyersville has announced an Anniversary Open House event honoring the 30th anniversary at their current location and the 53rd year in business in Dyersville on August 11th, 2017 from 11a – 3p. A $3 brat lunch will be served from 11a-1p by the Delaware County Pork Producers with proceeds benefiting the Dyersville Fire Department. Free will donations will also be collected to benefit the fire department. Also, attendees are invited to play Spahn & Rose trivia to be placed in our grand prize giveaway including a Green Mountain Grill valued at $599, twenty $30 gift cards and much more. Plus the first 50 to play will receive a free t-shirt. Vendors will be on hand answering questions and will be holding product demonstrations of our latest product offerings. Spahn & Rose will also have many products discounts and one day only specials to celebrate. Spahn & Rose Dyersville is located at 1200 16th Avenue SE Court in Dyersville, Iowa. Dubuque, IA. — Spahn & Rose Lumber Co. announced today it has appointed industry veteran David C. Davis as its President effective March 13th. Davis comes to Spahn & Rose from The Bostwick-Braun Company in Toledo, Ohio. Davis joined Bostwick in 2008 as their Vice President, Merchandising and has served as their Corporate Vice President, Supply Chain since 2013. Davis began his career with True Value Hardware and served in several roles there, including Corporate Director of Retail Development, Corporate Director of Marketing and Vice President, Sales and Marketing. Following his service at True Value, he served as Vice President, Merchandising & Marketing for the family-owned Aubuchon Hardware chain of retail stores headquartered in Westminster, Massachusetts. 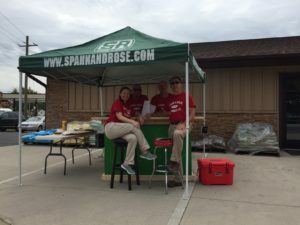 About Spahn & Rose: Established in 1904, Spahn & Rose is headquartered in Dubuque, Iowa and operates 24 retail lumber and building material stores across Iowa, Illinois & Wisconsin, as well as a lumber-distribution facility in Independence, Iowa. Spahn & Rose attributes their longevity to the determination & vision of their management, their hard-working & dedicated employees & the longtime loyalty of their customers. 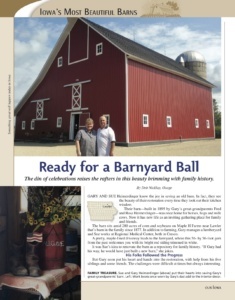 We are excited to share this great article from our friends at Our Iowa Magazine featuring our Cresco General Manager, Gary Heimerdinger! What a beautiful barn that it turned out to be. There is so much rich history associated with it. A very special building that has been in their family since 1895, when it was originally built by Gary’s great grandparents. To read the article, Click Here. 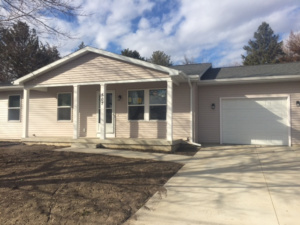 Iowa Heartland Habitat for Humanity Project. 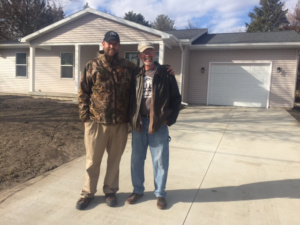 Spahn & Rose Waverly, IA is proud to have participated in the Iowa Heartland Habitat for Humanity Project. It was a great experience and we are looking forward to the next project this summer! DUBUQUE, IA — Spahn & Rose Lumber Co. of Dubuque, IA has been named to LBM Journal magazine’s LBM Century Club, in recognition of the company’s 112 years of service to its community. 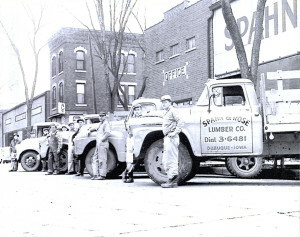 Since 1904 Spahn & Rose Lumber Co. has served customers without fail. LBM dealers like Spahn & Rose Lumber Co. have weathered economic storms with resilience and have adapted to ever-changing trends in housing, business management, environmental requirements and design trends, and have kept communities strong along the way. 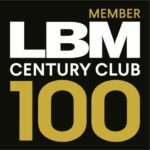 Members of the LBM Century Club, which is sponsored by Epicor, will be recognized in LBM Journal magazine and on LBMJournal.com. In addition, members in attendance will also honored at special reception at the LBM Strategies Conference 2016 in Charlotte, N.C. in September. 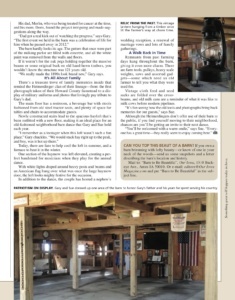 LBM Journal is the leading media company serving America’s lumber and building material industry. Now in its 13th year, LBM Journal delivers the latest information on products, industry trends and business insights via a print magazine, the LBM Alert e-newsletter, and the LBMJournal.com website. The company’s signature live event, the LBM Strategies Conference 2016, will be held at the Omni Hotel in Charlotte, N.C., September 6-8. To learn more about the event, visit www.LBMStrategies.com. October 31, 2016 — John Hannan, long-term President and CEO of Spahn & Rose Lumber Co., has announced his decision to retire from the company effective February 28, 2017 to seek other opportunities. John Hannan began his career at Spahn & Rose Lumber Co. in 1991. He was named Vice President of the Company in 1993, President in 2002 and CEO in 2004. John has been a member of the board of directors of the company since 2001. “After much thought and consideration, I am both excited and saddened to announce my retirement from Spahn & Rose Lumber Co. effective February 28, 2017. I have been working closely with our board of directors on this topic and they have graciously accepted my decision to step away after over 25 years with the Company. It has been the pleasure of my life working for this great company for so many years. I owe each and every one of our employees and customers my sincere gratitude and respect. I consider many of them to be very close friends of mine. I am very proud to say that each and every day, everyone in the Company approaches our careers with the highest levels of character, honesty and professionalism.” —John Hannan. “The Board of Directors of the Company reluctantly accepted John’s decision to retire. John has been a successful President and CEO of the company for the last 15 years. Under his leadership the Company was profitable and grew. He made Spahn & Rose Lumber Co. a better company. We will miss him. September 22nd Spahn & Rose in Dyersville held an open house and lunch with all proceeds going to the Dyersville Volunteer Fire Department. 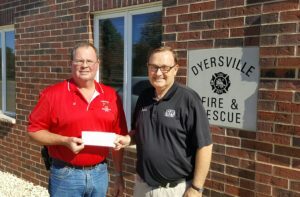 Below is a picture of John Ostwinkle (General Manager) presenting a $500.00 check to Al Wessels (Fire Chief). We were very happy with the turn out despite the fact that we had torrential rains that day. Al said that the proceeds will be used toward purchasing some of the needed equipment for the grain rescue operations. We were happy to be able to help our volunteer fire department! Dubuque Second Annual Girls Night Out at Spahn & Rose Dubuque was a huge success. A little over 300 women attended, enjoying refreshments, shopping some local businesses, playing trivia and tailgate games, enjoying a small craft project and a fun photo booth. The ladies also generously brought donations for the Dubuque Community School District resulting in 5 boxes of teacher supplies and $400 in cash and gift cards. Thank you to all employees who volunteered, worked or attended the event. It was a huge success thanks to the many who were involved. 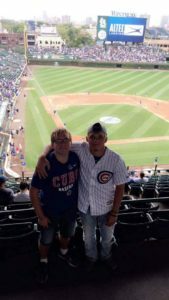 Congrats to Robert Scott from the Independence yard for winning 4 tickets to the 9/24 Cubs/Cards game as well as a hotel and gas package to complete his vacation. Robert and 43 others signed up to receive E-Statements from iNet Pro because during this contest. 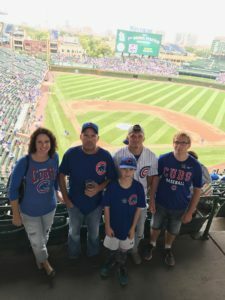 Unfortunately the Cubs lost that day, but Robert and his family had a great time! Thanks for signing up for iNet Pro Robert, we hope you enjoyed your vacation and the many benefits of iNet Pro! On August 25th, Stockton Spahn & Rose sponsored a “Red Shirt” community blood drive. They worked in conjunction with Rock River Valley Blood Center. They were asked to set up 22 appointments with a whole blood donation of 15 people. Within a couple weeks of planning they were able to fill all the appointment slots. RRVBC decided to extend the drive time an additional hour, to help accommodate all of our appointments. They ended up with 36 registered donors and 32 unit of whole blood. The RRVBC staff was amazing, hands down they “Rock It”. Due to the high numbers there was some waiting, so they put their Green Mountain Grills to good use. They sent up a tent, grilled pizzas, jalapeños and cookies. The donors were able to relax and enjoy some food & water before and after their life saving donation. It was a fabulous community event and they are already planning for another drive in February. Spahn & Rose – Independence celebrated an open house on Friday, May 13th, 2016 honoring the yard word that went into their showroom remodel. A complementary lunch, tool and gift card drawings and several one day specials and a ribbon cutting with the Independence Area Chamber of Commerce. CRESCO, IA, April 23, 2016 – Spahn & Rose Cresco location is proud to announce it’s donation to the Howard County Ag Education Center building project. 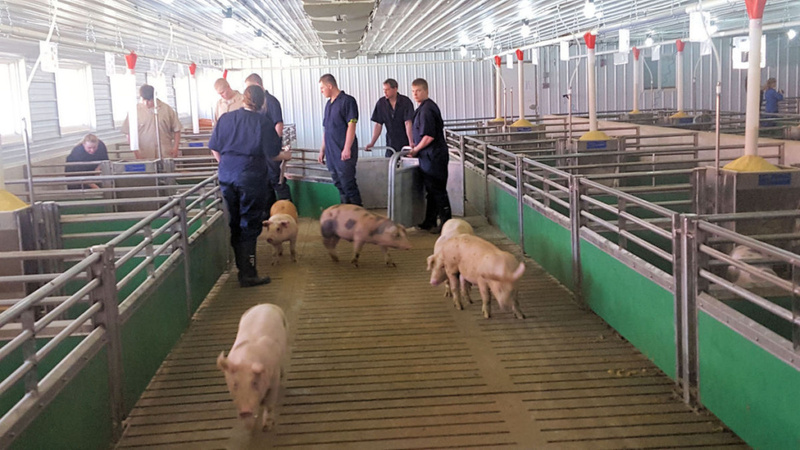 “The Howard County Agricultural Society (Fair Board) has realized one of its dreams – replacing the swine barn and small show arena that are two of the original fairgrounds buildings from the 1920s, with a state-of-the-livestock building that would also include a new show arena, restrooms and showers.” Read more about the Ag Education Center Here. Read the original article in the newspaper here. We were featured in an article this month on the Special Olympics website including a special mention about our Systems Administrator, Dan Wachtel, for his outstanding commitment to our community. Way to go Dan! Spahn & Rose in Prairie du Chien celebrates it’s 10 year anniversary at their new building this month. 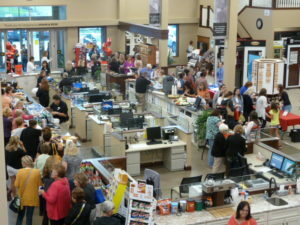 They hosted a contractor day to celebrate featuring product demonstrations, discounts and a free lunch on July 10, 2015. 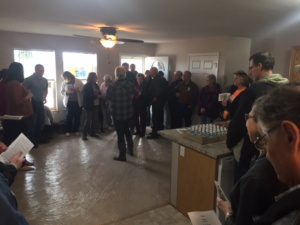 Thank you to all of our vendor sponsors including Milwaukee, Decra, Trex, Lake States, LP Smart Side, Decorator Composite Decking, Cellwood Vinyl Siding & Certainteed shingles who helps make this day special, especially our customers who were able to attend. 2016 will mark Spahn & Rose Prairie du Chien’s 25th anniversary in business, stay tuned for a huge anniversary event next year! 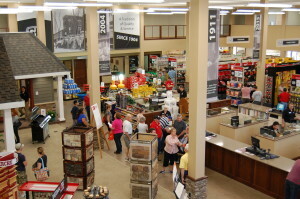 DUBUQUE, IA, April 13, 2015 – Spahn & Rose Retail Lumberyard, located at 250 Harrison Street in Dubuque, celebrated its grand opening with a 2-day event on Friday, April 17 and Saturday, April 18. The new facility is truly one of a kind. Walking through the 28,000 square foot showroom you will find 650 feet of retail hardware space, the “Spahn & Rose Idea Center” featuring access to design websites and stacks of literature and plan books to browse in a comfortable lounge, 12 different cabinetry displays and a 1,000 square foot display home. A lot of our products, you can buy anywhere. But you will not see them displayed better anywhere else in the Midwest and you will not experience this level of service. Both days featured huge discounts on top brands, demonstrations at over 30 vendor booths and $10,000 given away in gift cards and door prizes. 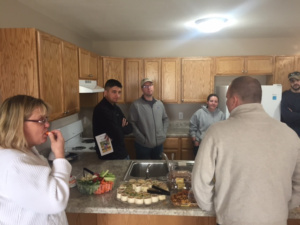 On Saturday, there was a charity lunch benefiting Habitat for Humanity, kids activities including bounce houses and balloon animals and 6 how to clinics giving you expert advice on your next project. 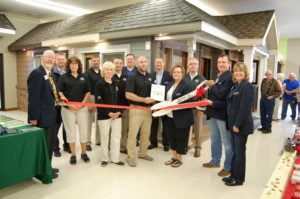 The Spahn & Rose retail location in Grundy Center celebrated the Grand Opening of it’s newly expanded showroom on Friday, June 5th. 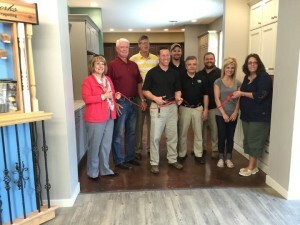 The celebration included a ribbon cutting, one day specials product demonstrations and a lunch benefiting Operation Threshold of Grundy County. Thank you to the following businesses for your help on our new showroom! The long-deteriorating Forest Grove School in Bettendorf is one of six structures listed this week on the 2014 “Most Endangered Properties” list by Preservation Iowa, a nonprofit group that encourages preservation efforts. The former school was nominated by Sharon Andresen, a leader of a group that is working to save and restore the one-room building. Spahn & Rose Charlotte donated $500 in cedar shingles to restore the 141 year old roof. Spahn & Rose Dubuque has teamed up with the Clare Cares project, providing materials for the 23 Buddy Benches on playgrounds throughout the tri-state area. The Buddy Benches provide a place for students who feel lonely or bullied to go sit and find support from fellow students. Clare Vosberg-Padget, at just 8 years old is on a mission to end bullying in her community and is now one step closer to her dreams. We are proud of you Clare. It was an honor to help with your mission to end bullying! Spahn & Rose announced that it would be moving from its nearly century long residence at 1101 Jackson. The Dubuque retail location intends to move to the downtown location of FedEx at 350 Harrison to help improve efficiency. The new location would allow the company to operate everything from one location. The goal is to have the new location opened for business in Spring, 2015.